With our WordPress Form Builder Plugin you can use your own CSS for styling forms. Simply go to the Settings → Themes→ Use Custom CSS section. 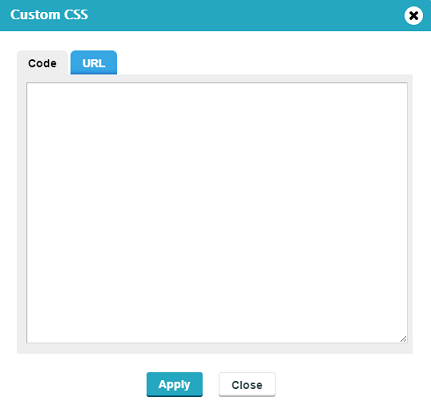 Use the Code tab to type the CSS code or the URL tab to provide the URL to the CSS file located on your server. If you choose the URL tab, make sure that the URL leads to the content of your stylesheets. Here’s an example: https://www.mydomain.com/css/style.css. The URL needs to contain the .css extension at the end, otherwise the CSS styles will not be applied to the form.